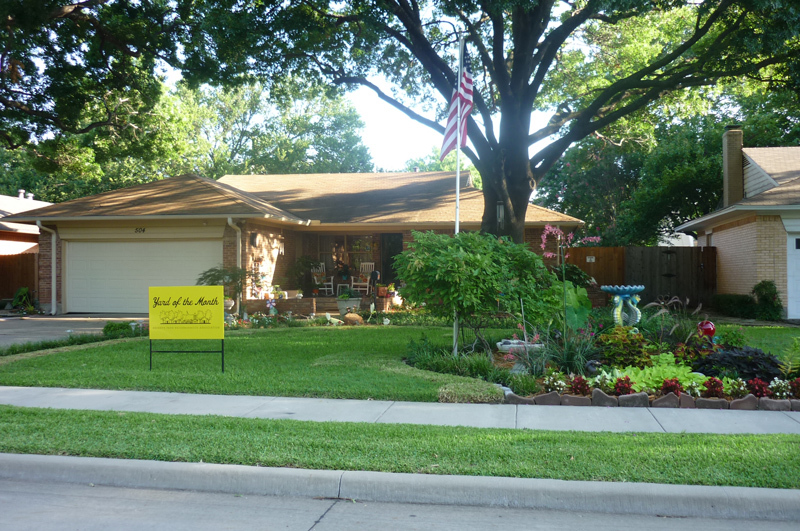 July 2015 Yard of the Month! Thank you so much for the July YOM honor. We never planned anything like this. Most of our ideas and inspiration came from looking at other homes while out walking. So, thanks to all our neighbors. We put in an ivy ground cover around our large oak tree because of the difficulty of keeping grass in this area. We then put in a flagstone walkway up to the porch for guest’s and across the front of the house for the mailman. Finally we enlarged the two flower beds and put in low care plants. The end is a yard with a smaller working footprint so there is lower maintenance and less watering. 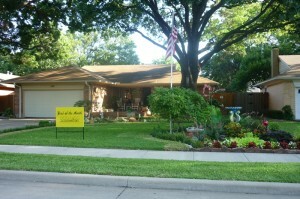 Thanks again for recognizing our yard.